Paul Pogba has publicly insisted that the Man Utd squad want Ole Gunnar Solskjaer to stay on as their boss beyond this season. The Norwegian tactician is currently in charge until the end of the campaign after being appointed on an interim basis in December to replace Jose Mourinho. He’s gone on to lead a resurgent United to 14 wins in 19 games, although they have stumbled in recent weeks having suffered defeats to Arsenal and Wolves in the Premier League and FA Cup respectively. Nevertheless, he has guided them back into contention for a top four finish, something which seemed so unlikely in the early part of the campaign. Further, they got past Paris Saint-Germain when few backed them to, particularly after losing the first leg 2-0 at home, and now face Barcelona in the quarter-finals to keep their hopes of winning silverware alive. Despite the risk of seeing that momentum broken, Pogba has insisted that both he and the squad in general wish to see Solskjaer stay on at Old Trafford this summer. “Of course we want him to stay,” Pogba said, as noted by Sky Sports. “The results have been great. I have a great relationship with him, he has a great relationship with the players. Meanwhile, the French international also commented on what he believes went wrong under former boss Mourinho, with the Portuguese tactician sacked in December after an underwhelming first half of the campaign. 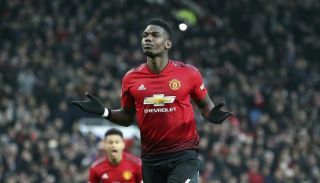 Despite leading the club to trophies during his tenure, key players like Pogba did struggle to show their best on a consistent basis under his stewardship, and he concedes that it was perhaps down to a lack of confidence. “Maybe we lost confidence, maybe things went wrong,” Pogba added. “A lot of talking outside that we weren’t used to. United in fact sit fifth after 30 games, just two points adrift of fourth-placed Arsenal, ahead of their clash with Watford after the international break.